Sturdy, fully-forged universal model for trimming. 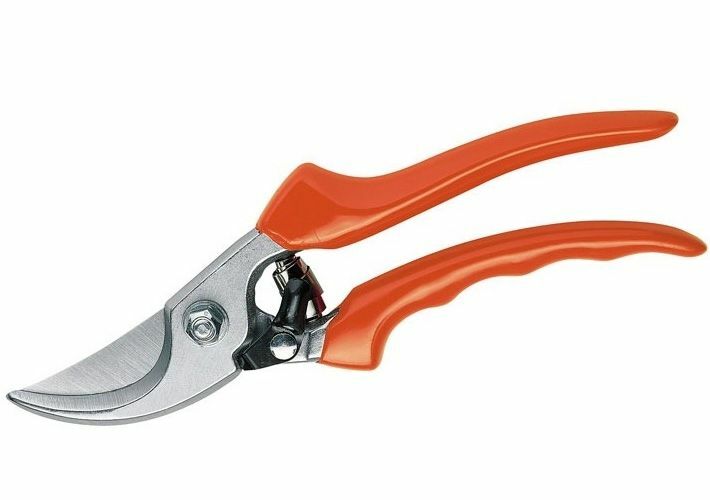 With a chrome-coated, corrosion-resistant pruner body, integral wire cutting notch and blades that can be resharpened. Plastic-coated ergonomic handles.